Driven by community pride and directed by an active arts council, the Lake Wales community has taken on the challenge of continuing the Lake Wales Art Center on State Road 60 — as well as aiming to increase programming. The council has returned to governing jurisdiction over the Lake Wales Arts Center as of January from Polk State College. The building, built in Spanish mission style architecture in 1927 as a Catholic church, became vacant in 1988 when that church built anew and moved out. Not long after, the arts council, originally established in 1972, moved into what is now known as the Lake Wales Arts Center. Later in 2011, the center, then under the direction of the Lake Wales Arts Council, was deeded over to the Polk State College for class use and primarily the arts. The council recognized the need for major renovations and not being able to afford the updates, sought a sponsor which they found at Polk State and deeded the property to the college. Under its supervision, the college made substantial upgrades to the building and spent $128,000 recently for repairs to the building due to recent Hurricane Irma, repairing roof sections, a water damaged gallery and windows. However, last year when the Florida State Legislature designated $60 million for funds for arts and the department at Polk State, funds were allotted for the department’s needs but nothing extra this time for support of the arts center. The center was then deeded back to the original owners, the Lake Wales Arts Council. Many Lake Wale residents and donors have already stepped forward to support the arts center, says Erica O’Neill, president for the Lake Wales Arts Council, governing board of the arts center. Plans are for the public to become members of the arts center. Andrew Allen, Lake Wales native and new executive director of the arts center, has begun investigating memberships. Some members of the board and Allen have experience in writing grants, adds O’Neill. Additional fundraising will also be explored. The board has anticipated expenses. Staffing includes one full-time executive director, a part-time bookkeeper, and this summer plans are to hire an assistant. The salary is already built into our budget. Additional funds needed to support the salaries have been pledged funds, adds O’Neill. But what about the programs? What can the public anticipate happening next season at the center? Primary programming, gallery art showings, classes and concerts are all tossed into the mix with big plans for fulfilling next season. The new executive director, Allen, has a performing arts background from the University of South Florida in Tampa, earning his bachelor’s and master’s degrees there. Some will remember he was the band director at the Lake Wales High School in 2014. Hired in March by the arts council, he has visions of programming and many plans. Right in the middle of his strategic planning for the 2019-20 season, Allen says he is hoping to include local artists. The future plans also include resident artists if the council finds the eventual financial capability to do that in the future, O’Neill says. The final seasonal gallery exhibit will be Sculptor George O’Neill Jr. with one of his friends, professional sculptor Peter France of Washington, NH. The show is mostly in bronze, according to O’Neill and continues now through June 1. Art center hours are currently 9 a.m. to 5 p.m. Monday through Friday. Because of the center’s mission architecture, it can’t be missed on State Road 60, but it is right behind the Lake Wales Medical Center parking lot and next to Hillcrest Elementary School on State Road 60. For more info visit LakeWalesArtsCouncil.org. 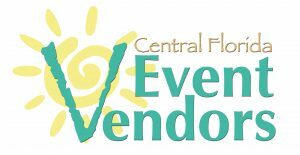 To arrange rental at the center email rentals@lw-arts.org. 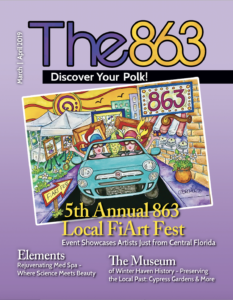 5th Annual 863 Local FiArt Fest: Event Showcases Artists Just from Central Florida; Elements Rejuvenating Med Spa: Where Science Meets Beauty; The Museum of Winter Haven History: Preserving the Local Past: Cypress Gardens & More. The 863 Magazine | Polk Media, Inc.
© 2013 – 2018 Polk Media, Inc.